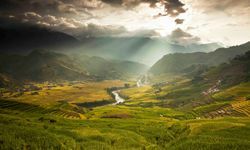 In the Hoang Lien Mountains, close to the Chinese border, is the picturesque market town of Sapa. 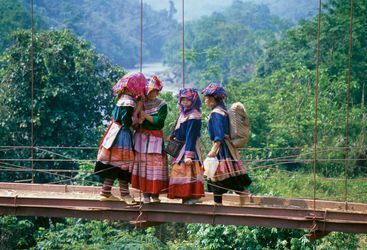 This is a region of beautiful mountain scenery and remote villages inhabited by a variety of hill tribes. 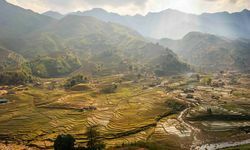 Sapa is reached by a scenic train journey from Hanoi. Due to the French colonial influence, the town has a distinctly European look architecturally. 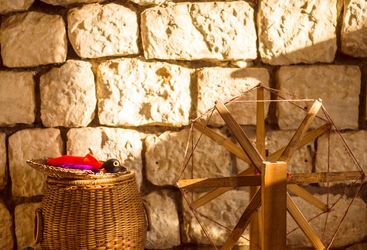 The feel of an alpine resort is enhanced by the thick pine forests of the surrounding slopes, and by the fact that the restaurant menu in the hotel includes raclette and fondue. 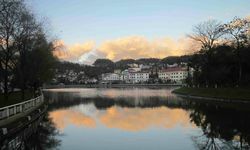 Trekking is the main reason to come to Sapa. 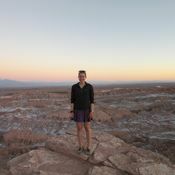 There are treks to suit all levels of fitness and enthusiasm, and all are accompanied by English-speaking guides. 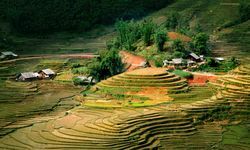 The trails take in a diverse range of landscapes, as well as some of the hill tribe villages, where life continues relatively untouched by the modern world. 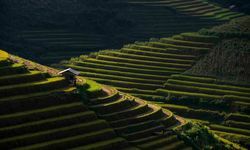 At lower altitudes, the trails lead through rice paddies and orchards, at higher altitudes through bamboo forest and pine trees. 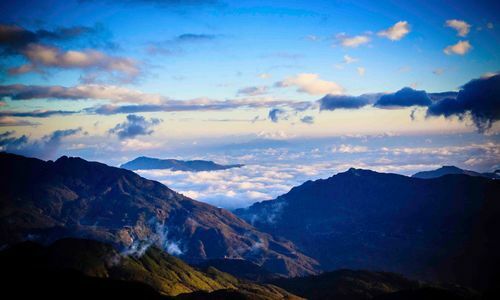 Sapa is also the starting point for treks to the top of Mt. 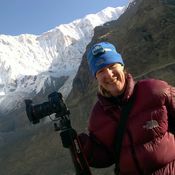 Fansipan, at 3,143m the highest peak in Vietnam (and the entire Indochina Peninsula). The area is also renowned for the hundreds of species of orchid that grow in the forests. 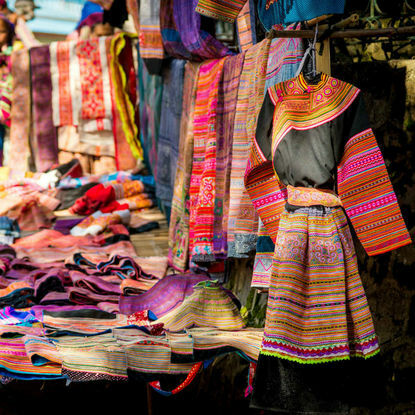 Weekend markets in Sapa and the nearby villages of Bac Ha and Can Cau are another attraction, and are a good place to pick up colourful clothing, jewellery and other local handicrafts. 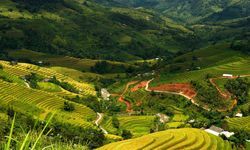 A visit to Sapa makes an interesting contrast to the delta or coastal regions of Vietnam, where most of the country's people live. 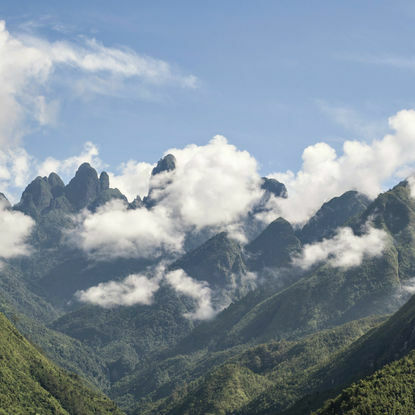 Hike a trail deep into Hoang Lien National Park, a heavily-forested landscape boasting Indochina's highest mountain. 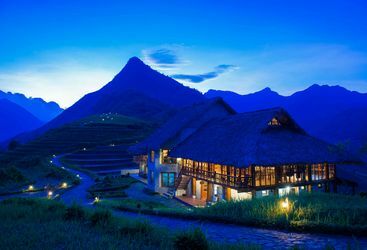 Take in spectacular views of limestone mountain ranges, terraced rice paddies and shimmering valleys. 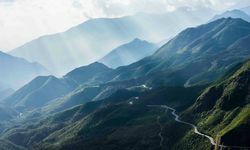 Along the way, stop off at Red Dao villages and share a cup of tea with the friendly inhabitants; learn about their centuries-old traditions including their colourful ethnic garb and unique take on Taoism. 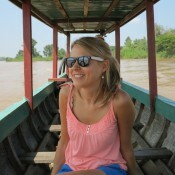 This morning, visit the bustling Bac Ha market. Every Sunday men and women from the Black and Red Dao, Tay and Flower Hmong tribes, clad in traditional clothing, convene here to buy and sell textiles, fresh produce and other goods. Take in the cacophony of colour and vibrant atmosphere. After exploring the market, gather up your souvenirs and enjoy lunch in a local village. 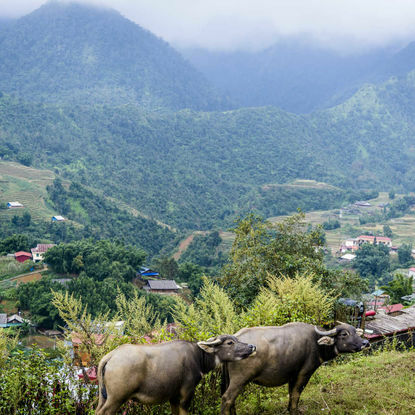 Hop on a mountain bike and descend into the postcard-worthy Muong Hoa Valley. 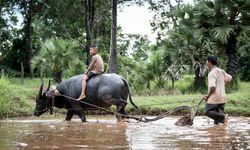 En route, stop over in the remote village of Thanh Phu, home to the Tay people, an indigenous minority predominantly comprising farmers, with a long tradition of wet rice farming. Lunch here in the village at a family-run establishment and soak up sweeping valley vistas. My highlight: Make sure you travel up to Sapa on the Victoria overnight train - it's a luxurious cabin that gets booked up quickly, so if you miss the chance to be on the cabin you could be travelling in economy, which is far more basic.